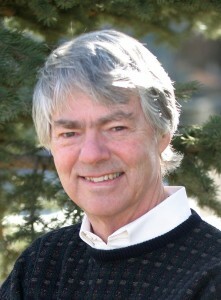 Mike Bradner is a former Speaker of the House (1975-76) and 10-year member of the State House of Representatives (1966-1976) representing Fairbanks. Since 1976 Mike has published Legislative Digest and done consulting work. During his legislature tenure Mike was instrumental in development of state and local revenue-sharing, state petroleum tax and pipeline regulation policy developed in the 1970s, and the Alaska Permanent Fund, created in 1976 when Mike was Speaker of the House. Upon leaving the Legislature, Mike worked with Northwest Energy on the Alaska Highway natural gas pipeline project and on projects related to value-added processing of state royalty crude oil. Mike lives in Anchorage now. 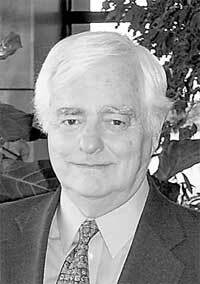 Tim Bradner has been writing about Alaska natural resources projects since 1966 and was a lobbyist before the state Legislature for BP and Standard Oil of Ohio from 1972 to 1984, when he left to attend graduate school. Since returning to Alaska in 1986, Tim has worked with Mike on Legislative Digest and its sister publication, Alaska Economic Report, as well as writing for other publications, such as the Alaska Journal of Commerce. During his tenure as a lobbyist, Tim was instrumental in enactment of a major revision in state oil and gas leasing policy and passages of state law revisions relating to the confidentiality of well exploration data. Those changes allowed Tim’s employer, BP, along with a consortium of Alaska Native corporations, to win leases in a competitive lease sale that allowed BP and its partners to develop the Endicott oil field on the North Slope.